Often, the kitchen is the heart of a home — where your family has informal dinners, breakfasts, and where friends gather around the table for coffee and a good talk. 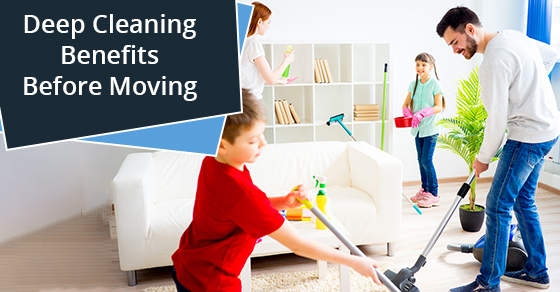 For these reasons, you’ll want to devote some time to getting it sparkling clean. Surfaces around food must be pristine, so use bleach water to wipe everything down initially. If you’ve purchased a home with appliances like refrigerator, stove, and dishwasher, you will certainly want to disinfect them with warm bleach water. Diluted bleach is one of the best sanitizers there is. Make sure you wash the inside and outside of all the cabinets as well. A super clean bathroom is a healthy bathroom. The bathtub, shower stall, sink, and toilet all have to be cleaned and disinfected. There are much bacteria that can be found in a bathroom that could cause sickness, so you’ll want to ensure your family gets the cleanest possible bathrooms from the get go. You’ve bought a house previously owned by another — you don’t want to inherit their bathtub ring, too! Were Pets Part Of The Former Family? If the people who owned the house before you had pets, chances are you’ll know it straight away. There is likely to be pet hair and perhaps accident spots in various places. If anyone in your family suffers from allergies to pet dander, giving the entire home a deep cleaning is most certainly necessary. In cases like these, hiring a one time cleaning service may be your best bet. They will be able to de-flea any carpets as well. If the home you’ve purchased has seen some recent renovations, getting the duct work cleaned out would be a wise idea. Post renovation cleaning is a must and there are companies that could take care of that for you. In any case, there may be a large amount of dust and debris in the ducts which could hamper the workings of the furnace and central air unit. It would be best to get them professionally cleaned. Contact Sunrise-Cleaning if you’re looking to have your home cleaned prior to moving in!